Barcelona is a city full of football players. The way to stand out here is to have your own vintage jersey. Here is where you can get yours! This online store offers a huge variety of vintage jerseys, not just for FC Barcelona. They even offer match worn shirts! Some of these include 2007 England U-17 World Cup away Pearce shirt, 1992 Italy U-21 Home shirt, and more. FC Barcelona shirts include 2002-2003 Saviola’s Barcelona home shirt, 2008-2010 Barcelona away shirt, and 1997-1998 Barcelona away shirt. 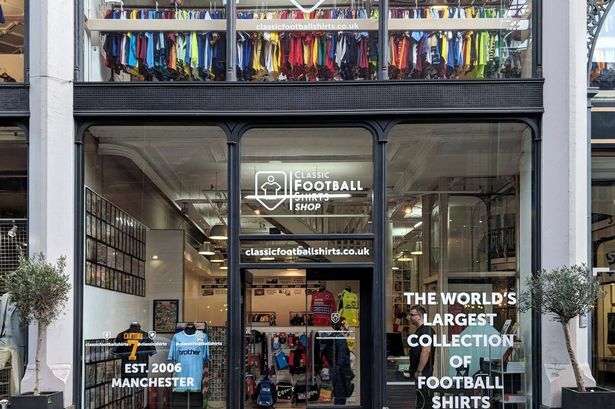 Classic Football Shirts also gives the option to sell some apparel you might have. This is a great place to get some unique styles. This online store has it all. Some of the coolest vintage jerseys from legends can be found here. Just a few shirts in this wide range of apparel include, 1992/3 Denmark goalkeeper Schmeichel football shirt, 2004/5 Torres Athlético Madrid home shirt, 1996/7 Germany Möller away shirt, 2004/5 Ronaldinho FC Barcelona home shirt, and 1990/91 Netherlands home shirt. Old and original football shirts from the past 40 years can be found on this website! Thousands of official club & international jerseys are ready to be purchased. 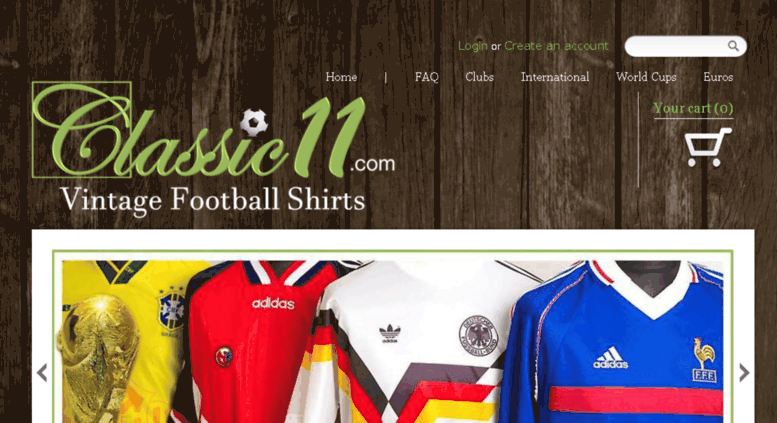 Classic 11 has the shirts categorized by clubs, world cups, players, international, and euros. Classic11.com is also a place to sell shirts. Copa offers a variety of unique vintage looks. 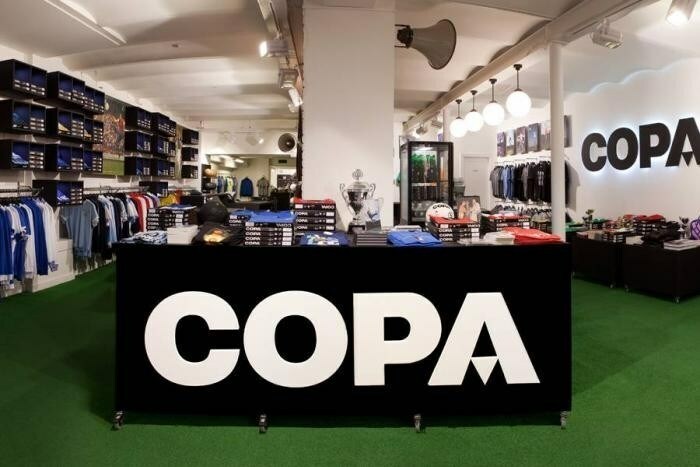 The flagship store is in Amsterdam, but luckily the online store makes Copa available to everyone. The apparel they offer includes the FC Barcelona away 1978-79 football shirt, the 1973-74 long sleeve shirt, and the 1899 long sleeve, amongst others. For a good price, your soccer apparel will reach the next level! 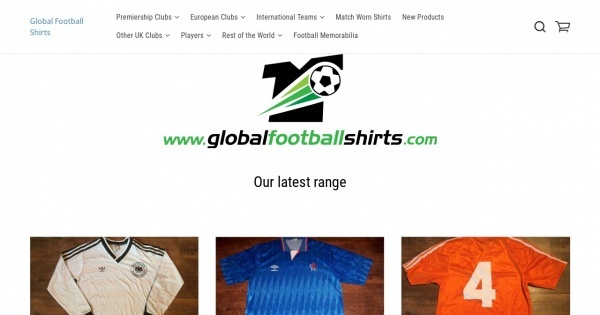 Global Football shirts has apparel from clubs and teams worldwide. Match worn shirts are also available, as well as football memorabilia. Some match worn shirts include 2010/11 AFC Wimbledon Blackman #3, and 2010/11 Lincoln City Pearce. Also on the site is a David Beckham signed Pepsi football shirt, 1997/98 Barcelona player issue De La Pena home shirt, and a 1988/90 Real Madrid player issue #16 home shirt. They have a big selection and reasonable prices! Now that you have some new football apparel, wear it while playing a pickup match with CeleBreak. CeleBreak has been organizing pickup football games, leagues, and tournaments for women and men since 2014. To learn more and join this awesome family. Learn more at https://celebreak.eu and download our app below.